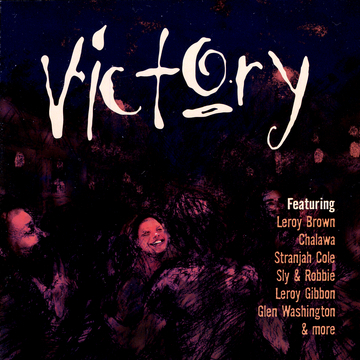 The Victory CD is a collection of 15 recordings by 9 great Reggae artists including Reggae upstart Kenny “B” Blake. Nine of the titles were composed by the Award Winning Canadian Reggae legend and artist Leroy Brown. The focus of the CD is Victory over gun violence. The CD release was on November 24th, 2007 at the annual Tropicana Christmas party (http://www.tropicanacommunity.org). The CD is available through digital retail outlets worldwide and is distributed by The Orchard, Trilogy Records digital distribution partner. The CD tracks can be downloaded from iTunes (Click on the link above). We call your attention to the PDF download link of the CD liner notes written by Reggae music aficionado Johnny Slacking who eloquently sums up the campaign. Perhaps Leroy Brown’s viewpoint is worth noting: “It saddens me especially being a father to see so much violence within our youth. We must use every means possible to correct this grave problem. It is time for all communities to band together and lead through example, and at all cost, find the root of this problem and make our cities safer places to live.” We appreciate your attention to the enclosed CD and hope that your support of the CD will send a positive message to youth everywhere and “make our cities a safer place to live”. Please note all of the above tracks except track 5 feature the performance and production talents of Leroy Brown and John Forbes as well as legendary reggae super duo, drummer Sly Dunbar and bassist Robbie Shakespeare aka Sly & Robbie.